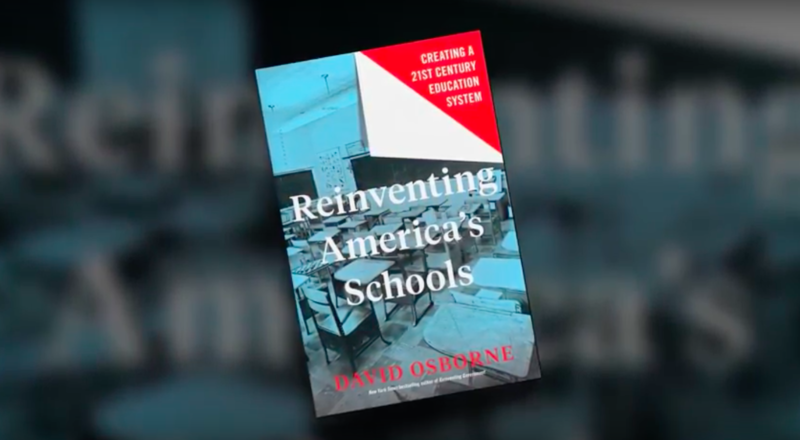 Washington, D.C., a city with an already robust school reform ecosystem, should broaden it further, author David Osborne argued Wednesday. Osborne, who wrote the just-released Reinventing America’s Schools: Creating a 21st Century Education System, said district-run schools in Washington’s poorest neighborhoods should convert to a model used in other cities where districts hire high-performing charter operators to run the schools while they remain under district control. They are often called Renaissance schools. The Renaissance model is in use in Philadelphia, Indianapolis, Camden, New Jersey, and elsewhere. Osborne made his remarks Wednesday during a lunch and panel discussion at the National Press Club. It was attended by some six dozen people and included panelists Deputy Mayor for Education Jennifer Niles; Rick Cruz, a member of D.C.’s public charter school board; and George Parker, the former president of the Washington Teachers Union. D.C. is one of the cities Osborne highlights in his book, along with Denver, New Orleans, and Indianapolis. All have strong charter sectors. The book seeks to profile the most dramatic improvements taking place in urban public schools and create a road map for other districts and cities to follow. Schools run by the D.C. Public Schools have made significant progress in recent years, particularly since the 2007 start of mayoral controls and accompanying reforms. Improving DCPS schools in Wards 7 and 8, the poorest in the city, is “a huge challenge” in a district making gains elsewhere, said Osborne, of the Progressive Policy Institute. “That’s thousands of kids who are not going to have successful lives,” he said. A Renaissance schools–type model “seems to me the logical next step for DCPS,” he said. “I really think that the district should look for proven operators with those kids,” he added. Performance in those struggling neighborhoods is improving, Niles argued, though not fast enough. D.C. already has the authority to grant a lot of the same flexibilities to public schools that charter operators use to turn failing schools around, she said. Niles added that she doesn’t think just autonomy will solve the problem. The Washington Teachers Union contract allows a great amount of flexibility, said Parker, who headed the union during a big contract change with former chancellor Michelle Rhee. He is currently a fellow with StudentsFirst, the education reform group Rhee founded in 2010. “A lot of opportunity is there for the public schools … to create different kinds of schools. If there is an aggressive approach toward doing that, to create more autonomous schools in Wards 7 and 8, and that’s already in the collective bargaining agreement, I think that can address a lot of what you’re talking about,” he said. The city will unveil its new five-year strategic plan at a block party Saturday featuring former NBA star Magic Johnson. In a “spoiler alert,” Niles said the new plan may address some of these issues. The report will include “thinking about autonomy very carefully and being really clear when schools will have autonomy in DCPS and when they won’t, but trying to have the decision-making, when it’s appropriate, as close to the folks who are providing the service to the kids as possible,” she added. The press club event was the first in a 24-city tour to promote Osborne’s book, sponsored in part by The 74.